Film director Francis Ford Coppola has appealed for the return of his computer backup device following a robbery at his house in Argentina on Wednesday. 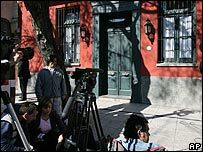 He told Argentine broadcaster Todo Noticias he had lost 15 years' worth of data, including writing and photographs of his family. A script for his latest film Tetro was on one of the computers taken, along with camera equipment. But his publicist said copies of the script were saved elsewhere. 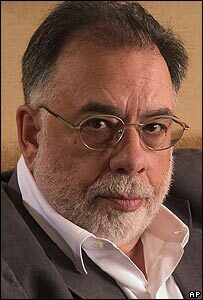 "They stole our computers; they got all our data, many years of work, said Coppola, 68. He said the backup that rested on the floor in the Zoetrope Argentina studio, based in his home, was just "a little thing but the information is (worth) much time". "If I could get the backup back, it would save me years [of] all the photographs of my family, all my writing," he added. The five-time Oscar-winner, who is also a producer and writer famed for films including the Godfather trilogy, has been living in Argentina for several months. He said the robbery would not prompt him to leave Argentina, where he plans to shoot a feature film. "Argentine people are very nice," he said. But he said he was thinking of moving his studio from the fashionable Palermo neighbourhood to a Buenos Aires district where he felt safer. While in Argentina he had been learning Spanish and working on his next film. Tetro, which will star Matt Dillon, is about the rivalries over the generations in an artistic Italian immigrant family to Buenos Aires. Filming is due to start next February.